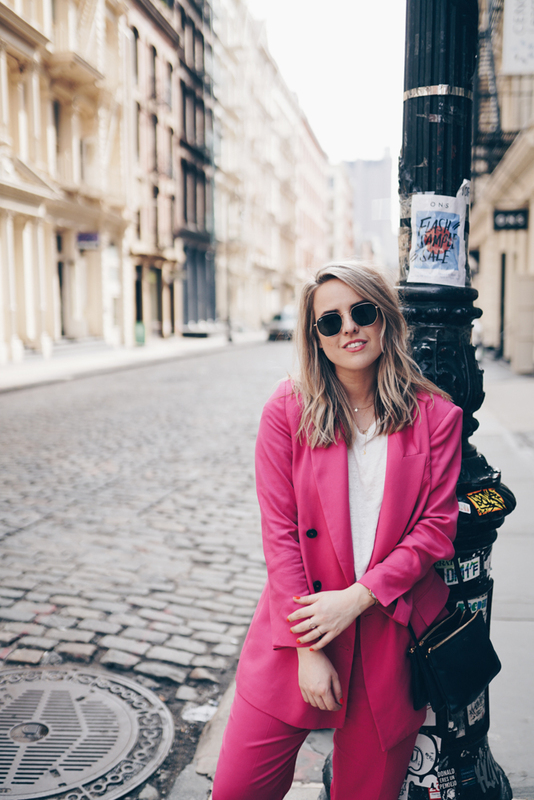 THOSE early morning Soho strolls. Right before the shops are opening and the streets are busy and bustling. 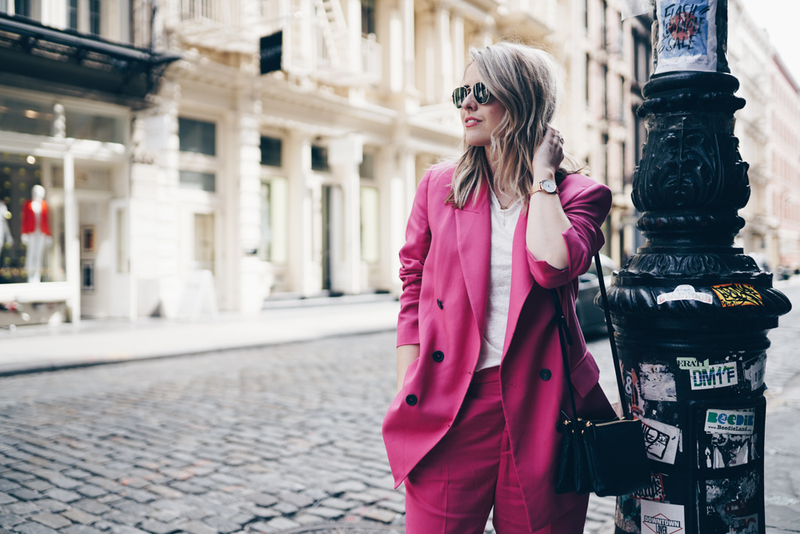 I was wearing this bright Pink suit I found at Zara right before we went to NYC. We had a super exciting meeting at Bobbi Brown HQ which I will show you soon in my NYC vlogs! 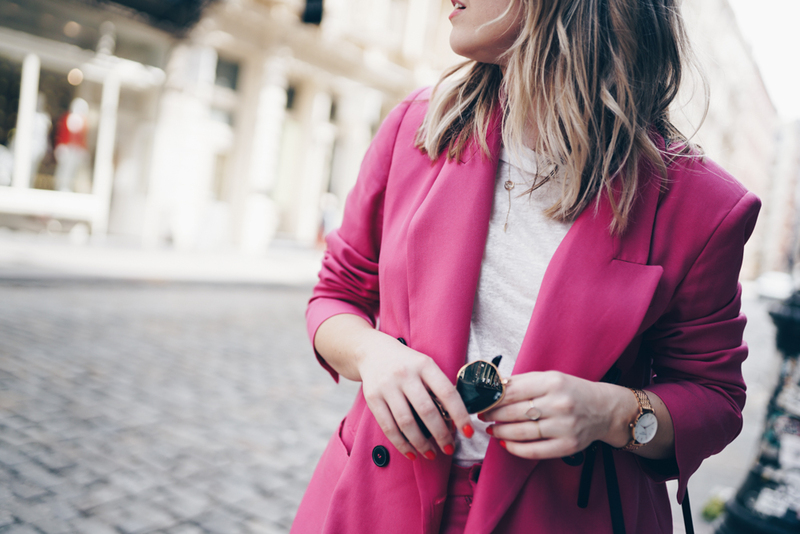 I wanted to wear something fun yet sophisticated so this made the perfect outfit. Not very NYC though as everyone is mostly wearing Black and neutrals, haha! I combined it with a simple White tee, my classic Céline trio bag and Gold loafers! Happy to be back on the blog. Have a lot to tell and show you so keep an eye on this little space. Love this outfit, your shoes are gorgeous !